A field guide is a special kind of book, usually, pocket-size, that is brought into the natural setting, to help the reader identify wildlife, or other living or non-living things. They are used to identify birds, mammals, trees, and other natural phenomena, in their natural environment. They differ from real books in the sense that they are brought along to be used in the moment. Having a field guide at hand is convenient and engaging. When you can identify a bird, a mammal, rock or mineral, or any other such object, being able to identify it, immediately, bestows a sense of accomplishment and closure. A field guide should be compact, durable, and easy to use. It must be area-specific and it should also contain many photographs of the subject in high-resolution colour. It must contain an easy method to identify the subject by size, shape, and colour, … quickly! Birds have always captivated my attention. As a youngster, I can remember wanting to learn more about a bird that I had seen flying over me, or one that was perched on a tree branch. There are birds that swim, and birds that do not swim. Almost all birds can fly, but there are many birds that do not fly. What is the name of this bird? Where did it come from? Why does this bird only appear at certain times of the year and, What are accidentals? I was first attracted to birds by their bright, well-defined colour patterns. I spent countless hours of my youth, exploring the shores of the Atlantic Ocean. This seacoast borders on a forested area called the New England-Acadian Forest and it was a treasure trove for bird-watching. As I gained more experience in birding, I found out that there were seabirds, shorebirds, diving ducks and dabbling ducks, and birds that only lived in the forest. I also learned that some birds lived in the trees and other birds spent most of their time on the ground. This vibrant curiosity, was a breeding ground, to the hundreds of the questions that my young mind needed answers to. On my 10th birthday, my mother bestowed me with a copy of, “National Audubon Society, Field Guide to Birds, Eastern Region, North America”. I was hooked, and forever grateful. I can still remember that special day, many years ago. I was only 10 years old, and I did not fully understand what a field guide was, but it didn’t seem to matter much, at the time. I do remember, immediately searching for every bird that I had seen, and spending hours looking through the pages of this book. This was my first field guide. Today, I own many field guides, and they form an integral part of my wilderness library. What makes a good Field Guide? The National Audubon Society, Field Guide to Birds, Eastern Region, of North America, has turned out to be a classic reference for all birders of the eastern region of Canada and North America. Its 800 pages are the go-to field guide for over 4 million birders, birdwatchers, and bird lovers. This field guide has become a bestselling classic. It is one of the birding bibles of eastern North America, and probably contains every bird found there. A green vinyl binding protects the hundreds of colour photographs on its pages. These pictures are all arranged for easy access. Descriptive text on each bird’s behaviour, voice, nesting habits, habitat, and range are all included. Range maps, overhead flight silhouettes, accidental and endangered species, fill its pages. The Eastern Edition of this series on birds covers the states and provinces east of the Rocky Mountains at the 100th meridian. The best estimates claim that there are, in the neighbourhood of 10,000 bird species on the planet. This is an incredible statistic, especially when paired with the fact that no human being, living or dead, can claim to have checked off this number of birds on their lifetime birding list. Today, almost 20 million nature enthusiasts have chosen the Audubon Field Guides as their go-to reference when they are out and about in Nature. 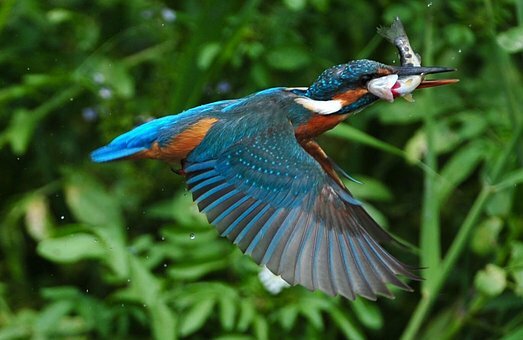 There are 20 different titles covering birds, butterflies, fishes, and flowers and many other subjects of fascination. If you live and explore the eastern region of North America this is the field guide for you. If you live on the west coast, where I live today, you would be better served by the western region version of this field guide. There are field guides for birds by state, country, continent and many locals areas. 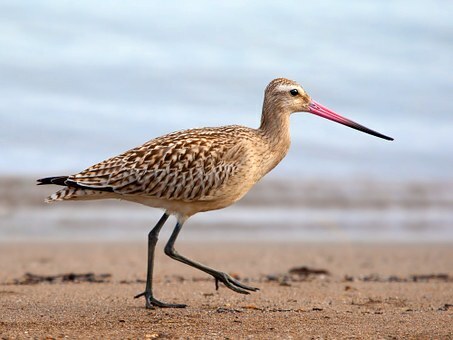 They exist for shorebirds, ducks, woodpeckers, hummingbirds, and others. The volume of these publications grows at a persistent pace. A field guide should be compact, durable, and easy to use. It must be area-specific and full of colour photographs. It must make it easy to identify birds by size, shape, and colour, … quickly! There are many excellent field guides for birds. The National Audubon Society Field Guide To Birds, Eastern Region of North America was my first field guide. This is why it holds a special place in my heart. It is a very popular field guide that over 4 million birders own. This says a lot because, these books are often carried into the field, and do not spend their lives on a shelf, gathering dust. If you have any comments, questions, or suggestions about this field guide or any other field guide that you or your fellow birders are using, please Contact Me with the details. I love to hear from fellow birders. Very informative and helpful in identifying the birds. Birds are special creatures. So many beautiful colors. For those who like a reference they can hold in their hands, it doesn’t get any better. You can use it with the Audubon app.. all you need to start identifying birds in the field. This little book is so very well organized, that I usually can identify a bird before it flies away. Great beginning field guide It uses photos with good explanations….I recommend with the Peterson guide as a useful companion…Peterson uses paintings. For someone who loves the outdoors, this is a perfect gift. The Petersen Field Guides are also another fine reference for birders. Great article about field guides for birds. I was wondering if there are any online guides that I can check out on birds? I don’t read books very often and it would be nice to have a guide I can use on my phone so I can bring the guide with me whenever I go looking for birds. There is such an app for you. The Audubon Bird Guide App. Your SmartPhone will lead you to it. Hi! I enjoy outdoor life. And I also like photography. So I have started to document my travels with abundant pictures. I have increasingly been attracted to birds and you can see in my pictures, as time has gone by, there has also been a raise in the amount of birds pictured. So, I have been considering the idea of buying a field guide for birds. And you have recommended the very best. I’ll follow your advice. Thank you! Thanks, Henry, for reading my post. 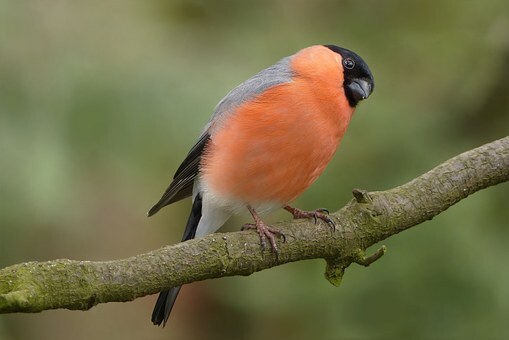 Photography is a very popular hobby and birds are one of its favourite subjects. Field guides are a great backup to your new hobby. This is a great review of an invaluable field guide, Paul. I’m curious if you have any experience with the Audubon smartphone app field guide? That’s definitely “tech,” but I think I’m old-fashioned enough (or I guess just old enough…haha) to think I’d rather carry along a physical book. I’m not sure I’d trust the app to perform well out in the wilderness or that I’d be able to see the screen well enough in bright sun. A book wouldn’t have either issue! I’ve always loved birds but have only recently been more concerned with properly identifying them since they have become my “subject of choice” with my new-found hobby of photography. You’ve convinced me that it’s time I stop borrowing whatever field guides I happen to be able to find at the library and invest in the best — an Audubon Field Guide — to carry along with me. Thanks so much for your insights! Like you, a new camera has revived my interest in birds. They are a popular subject with all photographers. The Cape May Warbler has been residing in my neck-of-the-woods, for the past 3+ weeks. It should be wintering in the Carribean but it has chosen to entertain the wonderful people who visit Mill Lake, in Abbotsford, British Columbia. I do not rely very much on electronic devices while in the wilderness. I am also old-school and find this field guide a pleasure to look through and a great back-up to bring in the field. Books have no batteries and they have proven their usefulness beyond all measure. Enjoy your new hobby, it’s a good one. Intresting I have never heard of a field guide until reading this article. It sounds like a great thing to have. Plus dealing with over 10000 species in different areas is also nice to know. I am a big fan of parrots and hummingbirds, so I am curious as to what pictures they will have of them. There are 358 species of parrots, widespread in tropical regions. Of all the parrot species, only one originally nested within the United States. The Carolina Parakeet is now extinct, but several other species have been introduced and are now well established. There are 320 species of hummingbirds, worldwide, but only 14 species breed in North America. 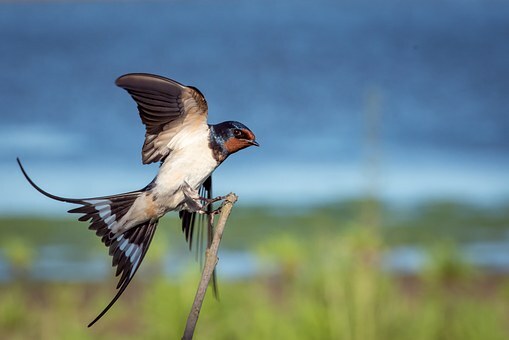 They are the only bird that can fly backwards. Lots of fascinating things to learn about birds. I love to watch the avian families fly around, because there’s this fascinating feeling about them. Good review on the field guide, I never knew there was a book like that, that could help identity. I think I should waste no more time than to purchase one. This is really informative and educative, thanks for the great job/post. Thank, Salim, for reading my post. Your kind words are appreciated. Birds are a fascinating subject to explore while in the outdoors. Their colours, patterns, and varied sizes and shapes make them popular with all ages. It would be safe to say that few people do not like birds.